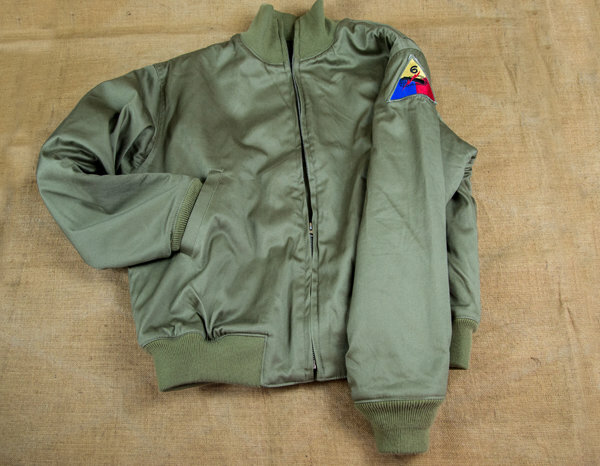 This is one of the iconic jackets worn in WW2 by the US Army. 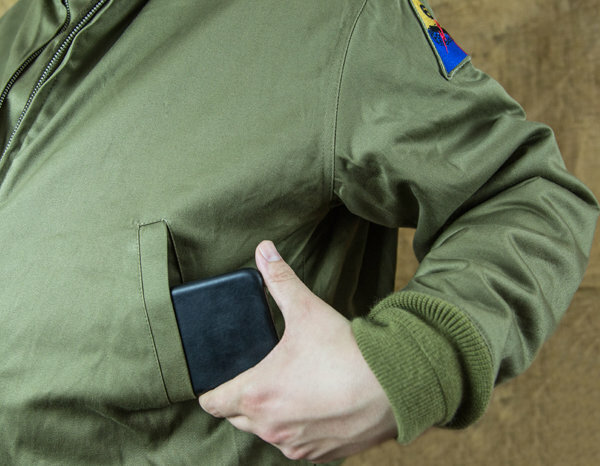 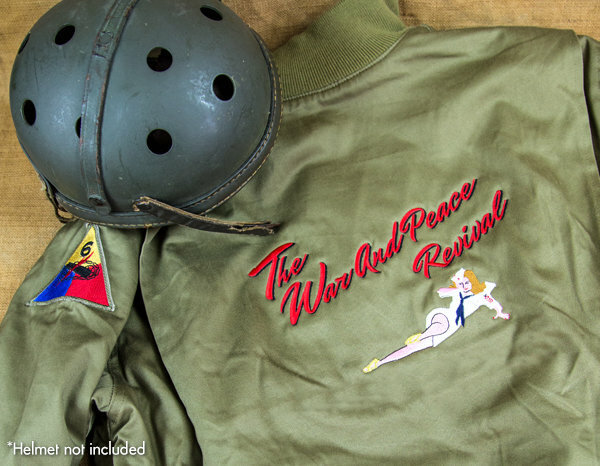 It has all the details of the original American Army winter combat jacket of WW2. 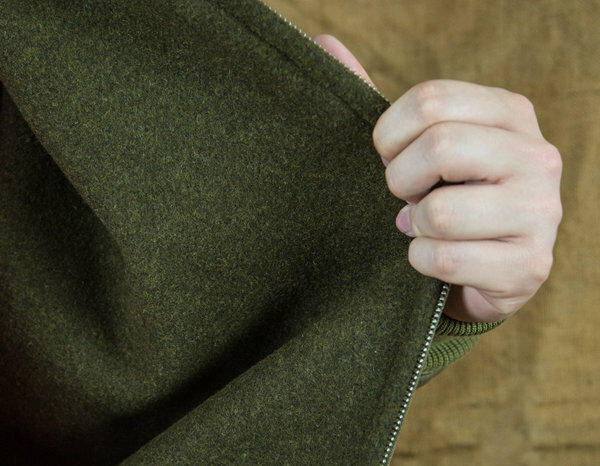 It has a nice thick wool blanket type liner and a cotton outer with light brown knitted cuffs and the knitted is waist band gives a neat finish. 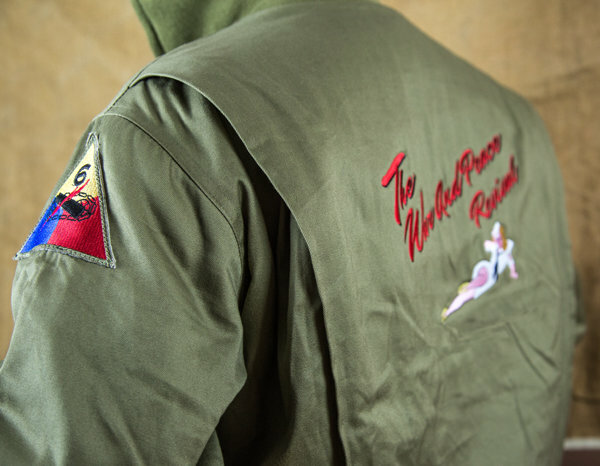 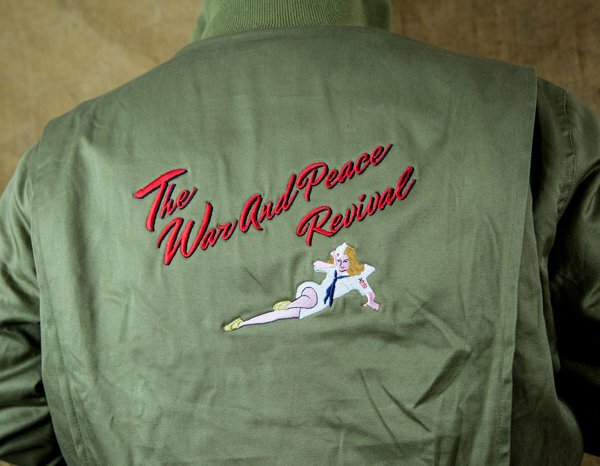 It has the War and Peace logo embroided onto the back.